Providing you the best range of pulse valve with effective & timely delivery. Our range of pulse valves are fabricated from high grade raw materials. 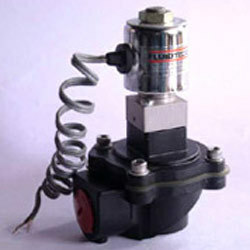 We have made our solenoid operated pulse valves using state-of-the manufacturing techniques. With assured functionality in its operations, our products are widely used by different OEMs across the world. Pulse valve is mainly used for dust collection at cement plants. High speed operation enables dislodging of dust from filter bags, due to shock air wave. Looking for Pulse Valve ?